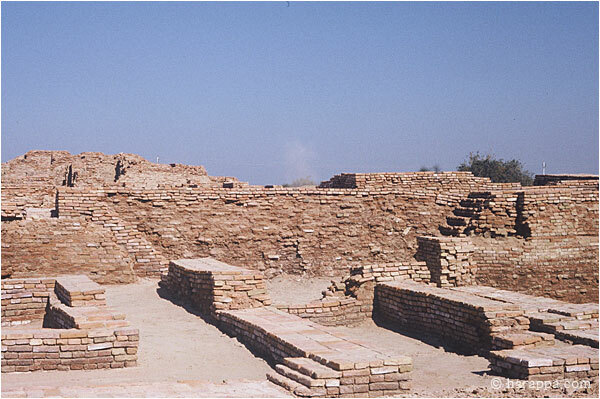 House A1 may have been a temple or palace of an important leader. Two doorways lead to a narrow courtyard at a lower level. A double staircase leads to an upper courtyard surrounded by several rooms. This house had numerous seals and fragments of a stone sculpture depicting a seated man wearing a cloak over the left shoulder.